Compliant with the latest British Safety Standard BS7928:2013 for both Senior and Junior Cricket. Masuri is the brand choice of the professional cricketer. 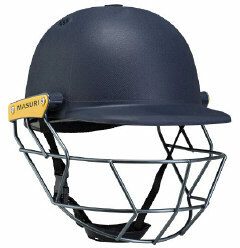 The Legacy Junior Cricket helmet, the latest cricket helmet from Masuri. 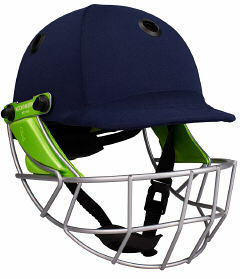 This is an affordable club level helmet for cricketers of all ages and abilities. Comfortable, lightweight and high quality and provides Masuri level protection for junior and senior club level players with a Navy non cloth covered shell and steel visor.